» Do Ask, Do Tell» 241-KIDS: Frequently Asked Questions» The Difference Between Discipline and Abuse» Who Should Call 241-KIDS? Hamilton County Children’s Services is dedicated to strengthening families so children are safe from abuse, neglect and dependency. We are committed to preserving and empowering families and respecting their dignity. We strive to reach the goals of safety, permanency and well-being of children by advocating for their rights and providing services to children and families in the least intrusive manner, as required by law. Children’s Services is a division of the Hamilton County Department of Job and Family Services. Ohio law requires Children’s Services agencies to protect children who are abused, neglected or dependent. We believe it is best for children to live in family settings. We strive to help families stay together while we work with them to solve problems. We may rely on other family members and friends to support your family and care for your children as we work toward a strong, stable and safe home. We strive for respect and dignity as we work toward safety. Our goal is to provide support so you are able to safely care for your children on your own. We are here to help. Here are some answers to questions people often have about how Children’s Services works. Please feel free to explore other parts of our website where you will find more information about other ways our agency helps families in need. More questions? Contact us. A: 241-KIDS is Hamilton County’s 24-hour line for reporting abuse or neglect of children under age 18 (or age 21 if physically, mentally or developmentally challenged). Anyone, including professionals (such as teachers and doctors), can call 241-KIDS when they have reason to believe a child is being abused or neglected. Q: When should I call 241-KIDS? If you suspect that a child under the age of 18 (or age of 21, if the child is developmentally disabled or physically impaired) has been abused or neglected, call as soon as you become aware of a problem. It is the responsibility of Children’s Services to determine if abuse or neglect is occurring. If you believe a situation is an emergency, call 911 first. Law enforcement will involve 241- KIDS/Children’s Services. Q: What if I call 241-KIDS and Children’s Services does not find abuse or neglect? A: If you make a report in good faith, you are immune from civil or criminal liability. Anyone who knowingly makes a false report to 241-KIDS could be charged with a misdemeanor. Q: What happens after a call to 241-KIDS? A: Some calls do not involve abuse or neglect. A 241-KIDS caseworker might refer the caller to a community agency or social service provider better suited to respond to a particular concern. In cases of suspected abuse or neglect, many factors determine priority, including the child’s age and the severity of the alleged abuse or neglect. Caseworkers assess risk using agency policies and statewide assessment tools for consistent decision-making. Professionals in contact with the child may be contacted for information. Within 24 hours of the call, we will make a determination on how quickly the agency must respond to ensure the safety of the child. Q: What happens next if a complaint prompts the agency to conduct a family assessment? A: Children’s Services workers gather facts through interviews, home visits and reports from other professionals who interact with the child, such as the child’s teacher or day care provider. They evaluate the child’s situation and determine whether or not the allegations are substantiated. They also assess the potential for future harm. Workers sometimes collaborate with law enforcement officers who are conducting criminal investigations. Ohio’s child abuse and neglect laws are written to provide for the safety of a child involved in a potential abuse or neglect situation. Children will be removed from the home only when sufficient protection cannot be provided to guarantee their continued safety within the home environment. If a child is removed, the agency will attempt to have other family members or family friends care for the child as it works with you to strengthen your family and return your children. Q: Will I know if Children’s Services is assessing my family? A: Initially, you might not know. Allegations of child abuse and neglect are serious and the privacy of victims is strictly protected. Q: How will I learn what’s going on? A: If a Children’s Services case is opened on your family, you will be given the name and contact information for your case worker. If you can’t reach them, you can call WHO or email WHAT. Q: When are children removed and put into foster care? A: When a child cannot safely live with his or her own family, we may remove them from their parents’ home. If removal of the child is necessary, we first try to find relatives to care for the children. We believe children do best in families. Q: What if you can’t find appropriate relatives to care for a child you’ve removed? A: That child could be placed into foster care with a family that has gone through hours of training and becoming licensed to temporarily take care of others’ children. The goal of foster care usually is still reunification. So foster care is a temporary residence for the child while parents work with us to be ready to bring the children home again. Q: What help will Children’s Services provide a family? The goal is to strengthen a family so children remain safe. Each family has its own unique needs. The agency’s goal is to assess and identify those needs and then provide the help and support the family needs. This may involve parenting classes, mental health counseling, domestic violence counseling, substance abuse treatment or many other supports that assist the family to a better place. Throughout the process, families will be treated with respect and dignity as all work toward the common goal of ensuring children are safe. Children’s Services operates the county’s 24-hour child abuse hotline, (513) 241-KIDS (5437), and is legally responsible for taking reports of child abuse and neglect, investigating reports and acting to protect child victims and children at risk of harm. Children’s Services caseworkers’ primary interest is the safety of the children. When abuse or neglect is reported, trained social workers investigate the allegation. If they determine abuse or neglect has occurred, caseworkers will try to help parents or caregivers deal with the issues that have led to abuse or neglect. In some cases, Children’s Services may remain involved with a family if additional services are needed. The division works closely with both families and community partners in making decisions that affect the children. Children’s Services may also refer families to services – such as drug abuse treatment, emergency housing, mental health counseling and parent training – for additional help. 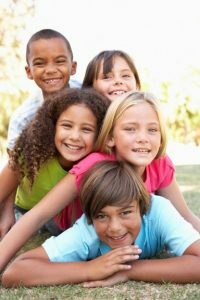 If necessary for the safety of the children, Children’s Services seeks protective temporary or permanent custody of children through Juvenile Court. Children may be placed in temporary care or relatives, foster parents or others when they cannot be safe in their own homes. In some cases, Children’s Services will provide training in independent living skills for older teens. Each year, approximately 1.5 million children are the victims of abuse and neglect in the United States. More than four times that number – 6.6 million children – are reported victims, but investigations do not yield enough proof of abuse or neglect. Amazingly, even more abuse and neglect goes unreported. Studies show that only one in 10 incidents of abuse is actually confirmed by social service agencies. Millions of cases are going unreported. Report concerns by calling 513-241-5437 (241-KIDS). Be aware of the signs that a child is in danger. If you encounter a child through your professional or personal life who exhibits any of the following signs, report it to Children’s Services and let the professionals use their expertise to screen the circumstances. Report concerns by calling 513-241-5437 (241-KIDS). Has unexplained burns, bites, bruises, broken bones or black eyes. Shows sudden changes in behavior or school performance. Is extremely compliant or extremely aggressive. Acts either inappropriately adult (taking care of other children) or inappropriately infantile (rocking, thumb-sucking, tantrums). Seems extremely frightened of the parents and has reactive behaviors such as wetting their pants when it is time to go home. Shrinks at the approach of adults. Would rather spend time with a stranger than their parent or caregiver. Is frequently absent from school. Begs or steals food or money. Lacks needed medical or dental care. Is consistently dirty and has severe body odor. Do Ask yourself if you have concerns. Do Tell Children’s Services if you do.